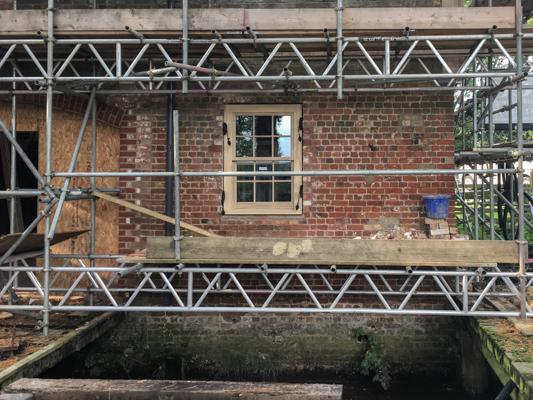 These are almost the last windows to be fitted, the upper window matches the historical item having a center pivot. 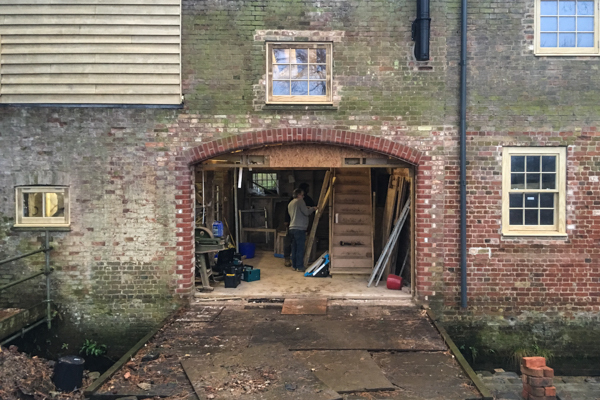 We hadn't seen the opening proper for 18 months while we had temporary doors in place so it was a revelation in every sense to see the big space once more. 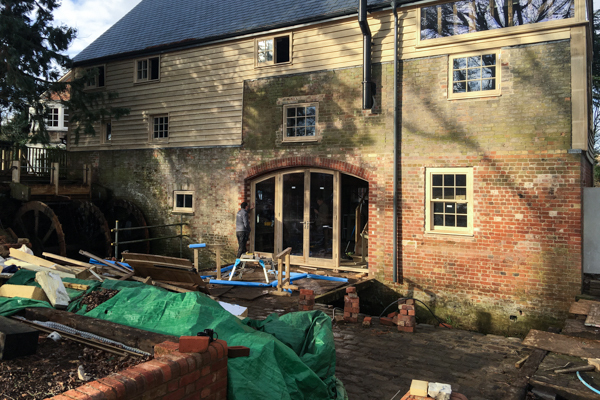 Well, by evening, we have our new doors in place. These were made by Andrew Jaynes Joinery in Canterbury. They are CNC precision engineered items made from ACCOYA particularly special having a full height curved section that fits the opening perfectly. We would certainly recommend Andrew Jaynes to anybody. 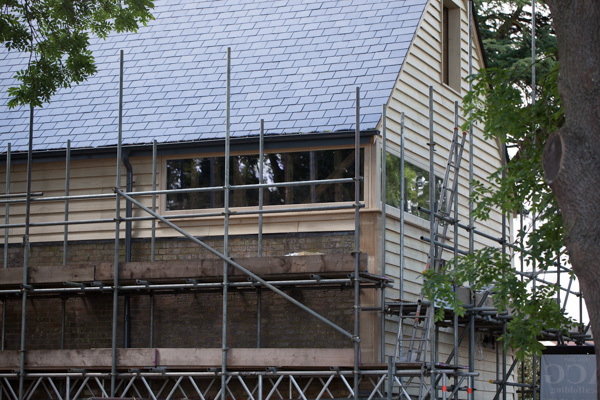 They specialize in ACCOYA because it's stable, rot-proof and easy to machine. TRADA guarantees the material for 75 years. For windows and doors that means a perfect fit every time no matter what the weather. It needs no treatment and yet takes paint very well indeed when required. 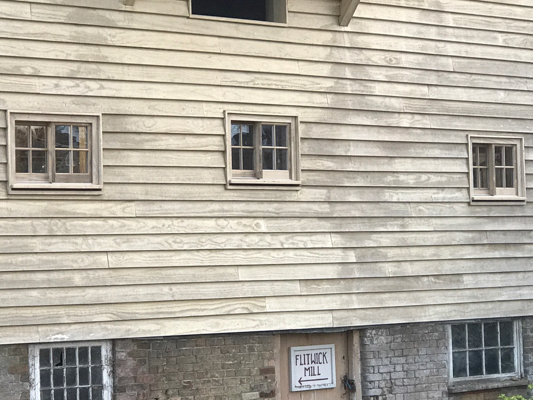 The paint is far less stressed because the stability means the paint is not stretched and shrunk as it would be on a material like oak which changes dimensionally throughout the seasons. Here you can see the three new windows in the north face. We worked with Robin Uff the (now retired) conservation officer on the design of these windows. We have a very traditional horizontal sliding sash design that was very common in Bedfordshire. These are often referred to as "Yorkshire sliding sash windows". The last of the scaffolding is down. We now have a clear view of the corner window and renewed access means we can have big clear up. This is the only vertically sliding box sash window in the whole building. It's an Accoya copy of the original and is held in place with inflatable cushions prior to permanent fixing. The corner window was installed by expert fitters from Andrew Jaynes who manufactured the windows. 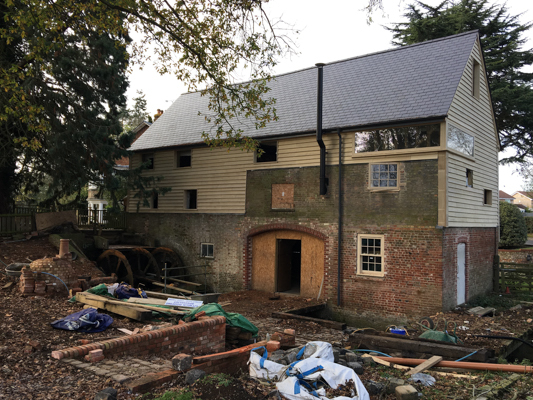 It achieves exactly what we wanted of it - the timber structure of the mill inside is clearly visible from the outside. This is a particular favourite of our recently retired conservation officer, Robin Uff. The weatherboarding is complete and most of the window liners are in place. The structural openings are designed to secure horizontal sliding sash windows having areas of glass matching the originals. 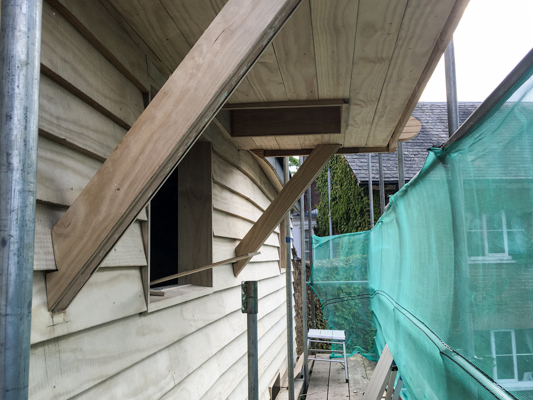 The lucum is the trickiest bit of weatherboard installation. The space below the lucum is now filled in so that we have more than just a floorboard between us and the driveway below us. The trap door is carefully preserved to ensure its future. 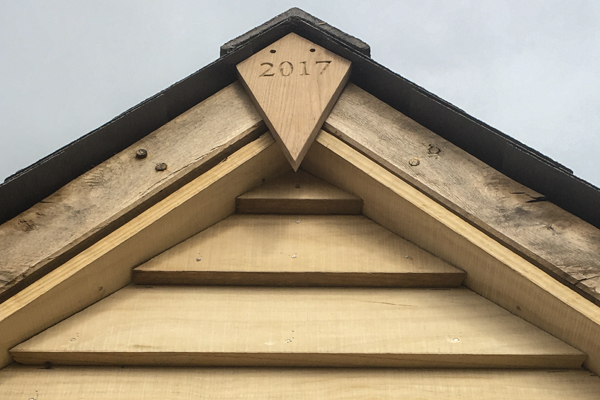 The year that we finished restoring the roof is carved into an oak diamond at the eastern gable end. 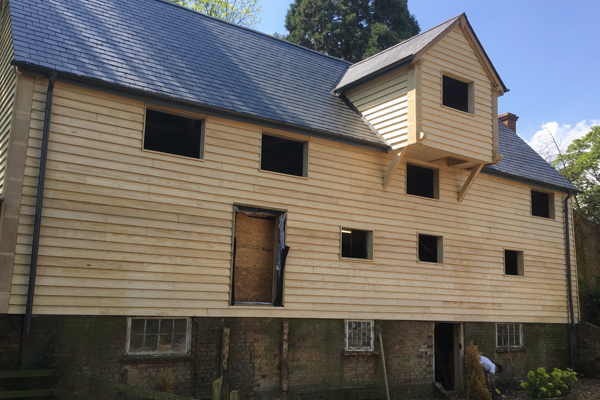 We were originally going to use a larch or oak weatherboarding that would have been painted with a proven long-lasting exterior paint. Then we discovered Accoya. The ultimately superior properties of Accoya result from a process called Acetylation. 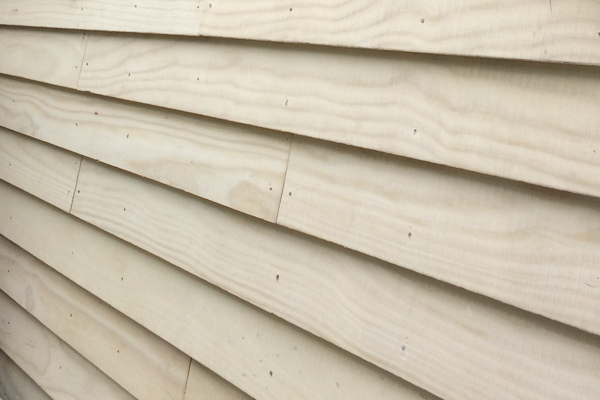 Accoya is a wood that is almost inert, immune to bugs and even immersion in water. It's TRADA guaranteed for 75 years. The colour was an unexpected bonus since it is so close in colour to the paint that was originally on the mill. It will pale and 'silver' with age but won't need any maintenance for many years. Accoya also works beautifully for making the windows. It is stable enough that we can make the glazing bars that are just as thin as the existing windows even though they are holding double-glazed panels. 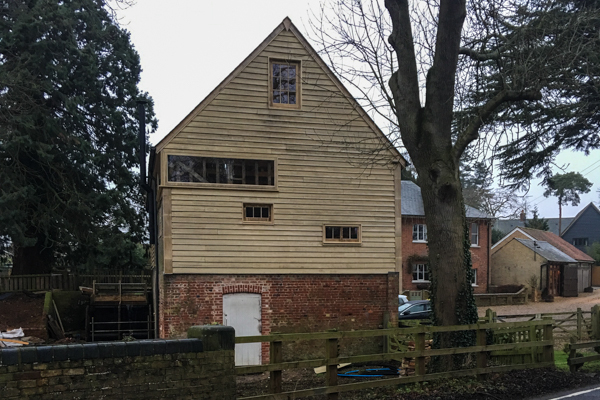 So we get low maintenance low energy windows that don't need to be painted, will match and age at the same rate as the weatherboarding and will still open and close smoothly after 10 years of being battered by rain and condensation.